Here's a great looking statue from the Original Hartland Baseball Player series. 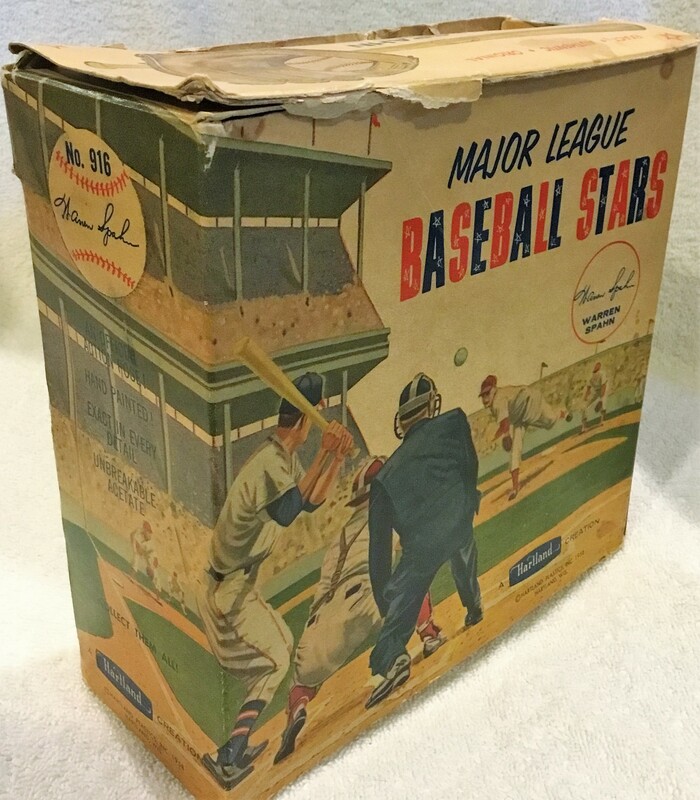 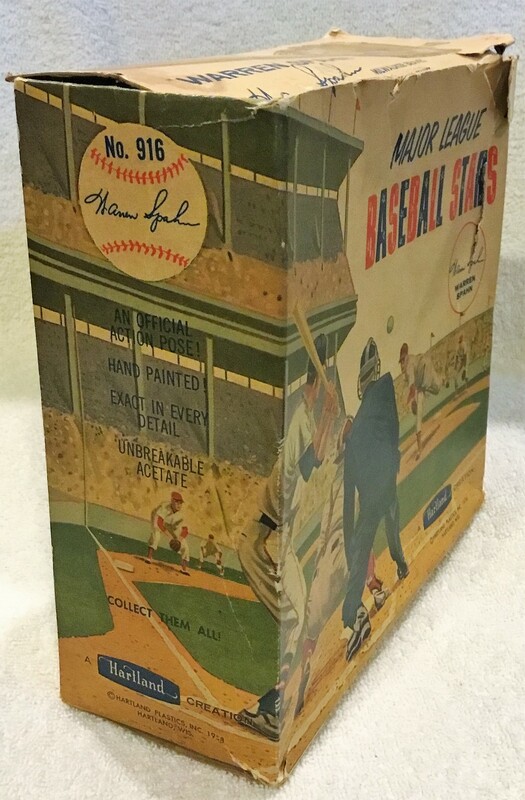 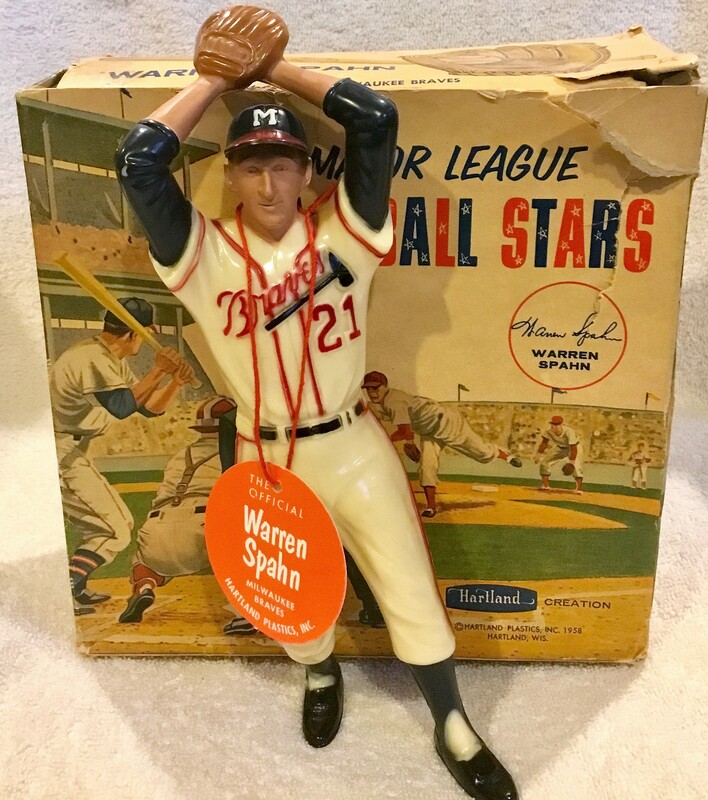 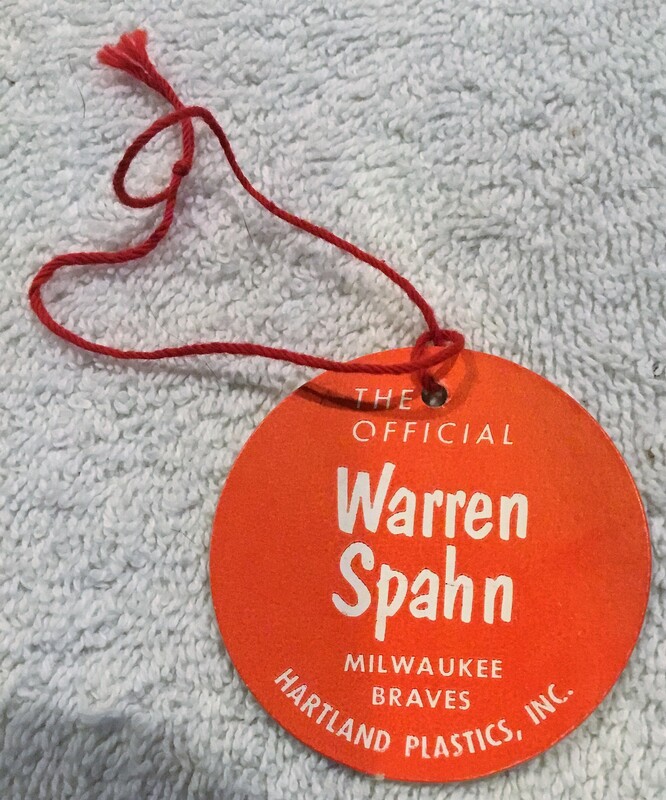 It's of Milwaukee Braves star- Warren Spahn. 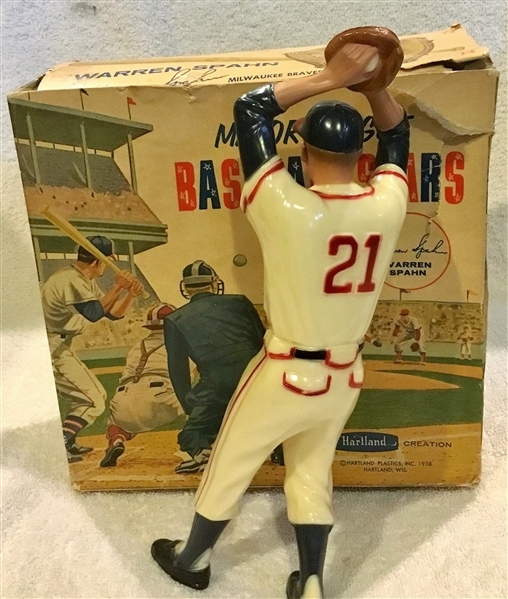 The statue is a touch off-white and has strong paint. It stands perfectly on its own. 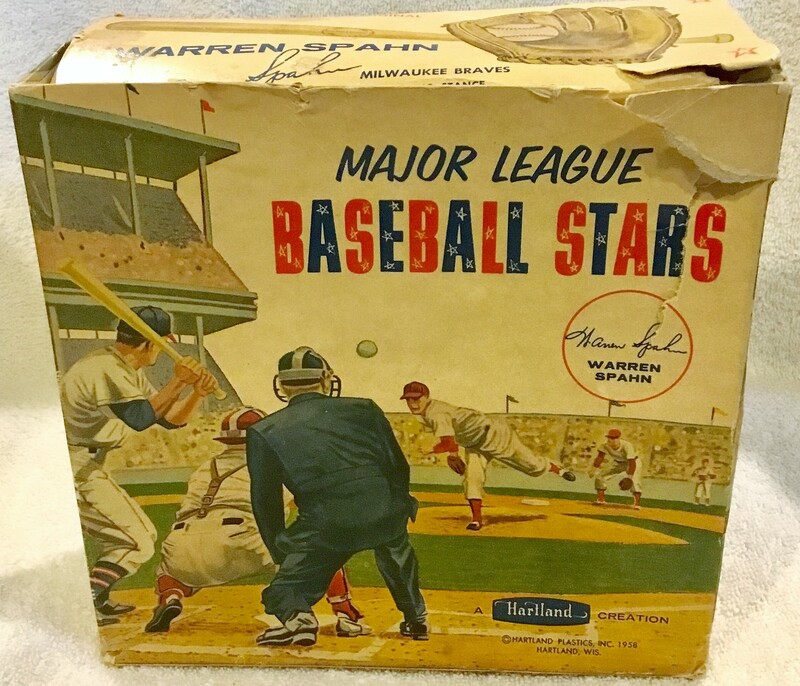 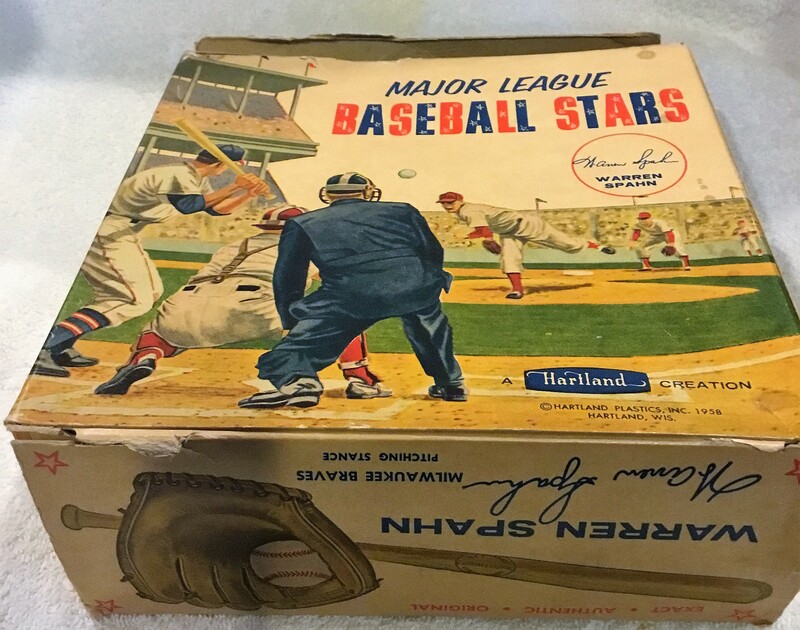 The box is in rough condition with tears and creasing. the top flap is present but separated from the top of the box. The tag is original and in brilliant condition.